SAIL – ONE DAY ONLY. For one day only the MV Isle of Mull was redeployed. She left her normal route temporarily to cover Coll and Tiree. 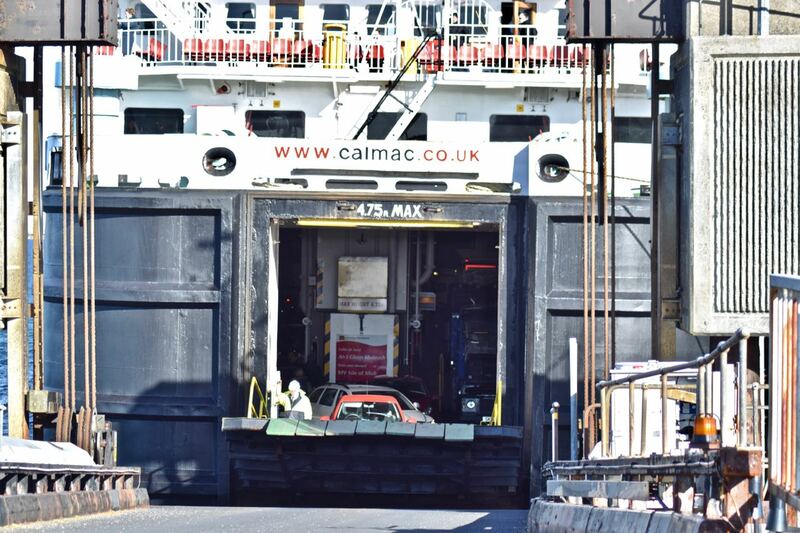 CalMac is facing a crisis as a result of being a major vessel down. The MV Clansman is still in dry dock and will probably be some for some time. To make matters worse Good Friday witnessed the start of the Summer Timetable. 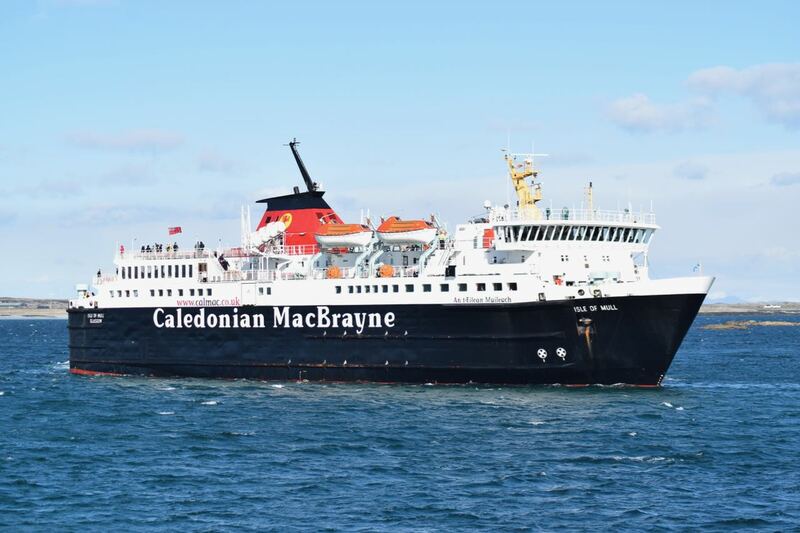 The Tuesday sailing from Oban to Coll and Tiree was cancelled. This was in part due to the need to have vessels in the appropriate ports. 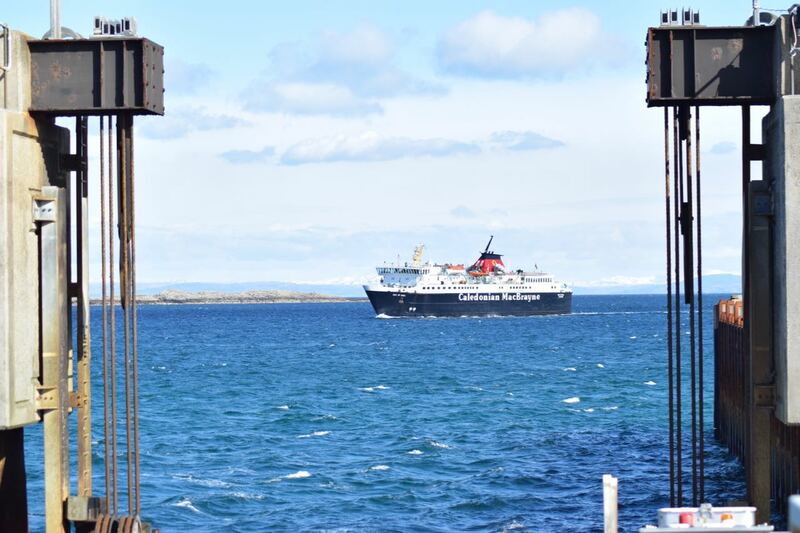 However on Tuesday the MV Lord of the Isles was storm bound at Lochboisdale. 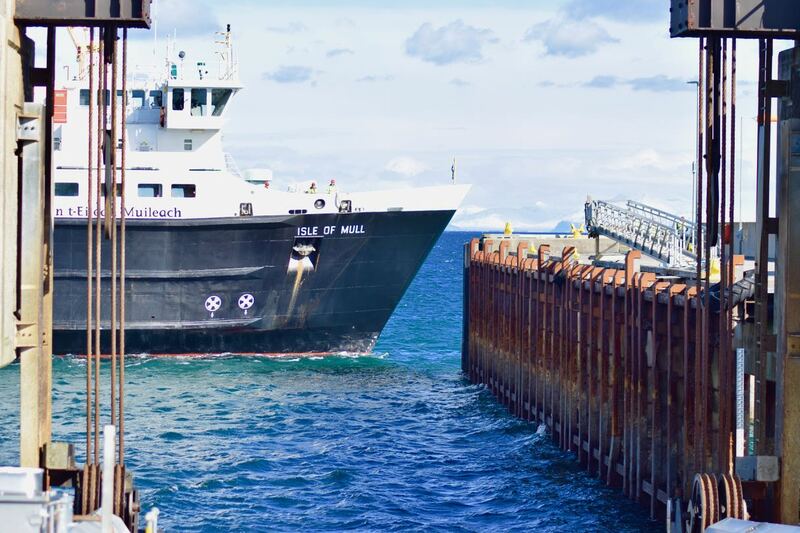 On Wednesday the MV Lord of the Isles departed Lochboisdale for Oban. The MV Isle of Mull covered her morning roster to Craigure on Mull. Then the MV Coruisk commenced a shuttle service to Mull. 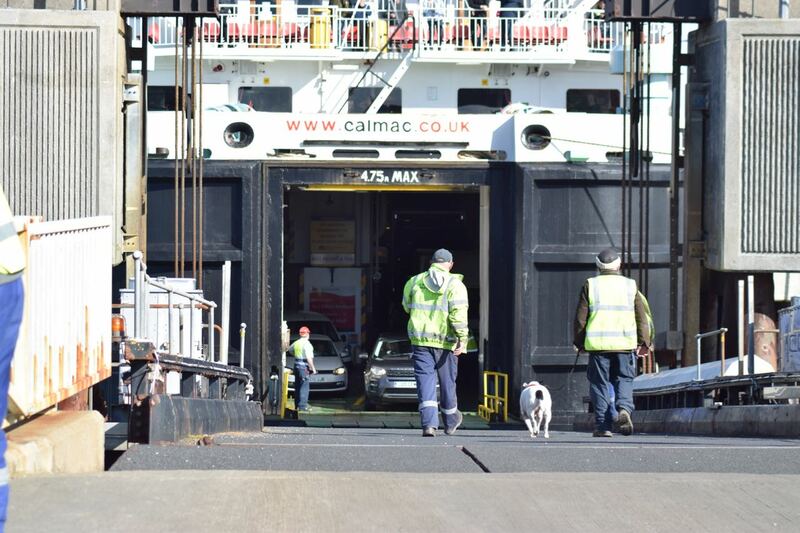 The MV Isle of Mull departed Oban Ferry Terminal at 12:42pm. She sailed direct to the Isle of Tiree berthing at 16:08pm. She arrived to bright blue skies and sea. The wind this afternoon was gusting from the north at 31mph. With great patience and skill the Skipper berthed her safely. He began by taking her bow across the pier’s roundhead. At the same the stern was slowly brought in. 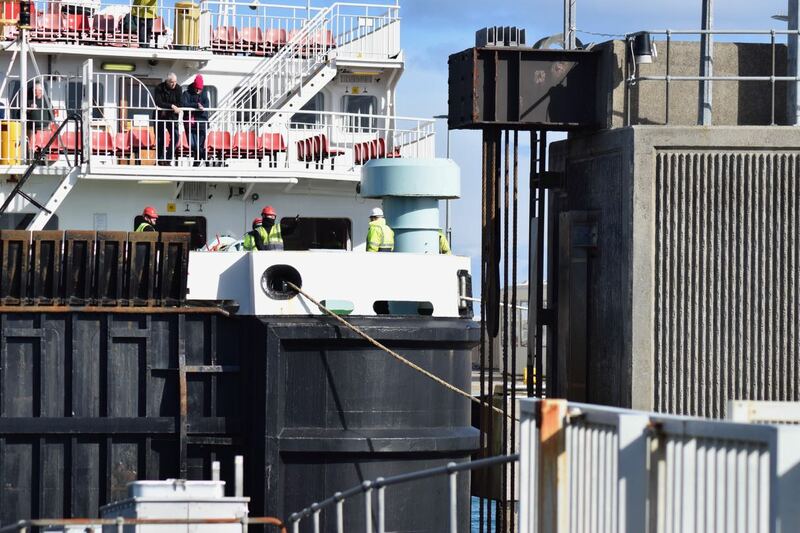 With no sailing the previous day the MV Isle of Mull was extremely busy. both Tiree and Coll Traffic had to be off-loaded. This resulted in considerable delay. 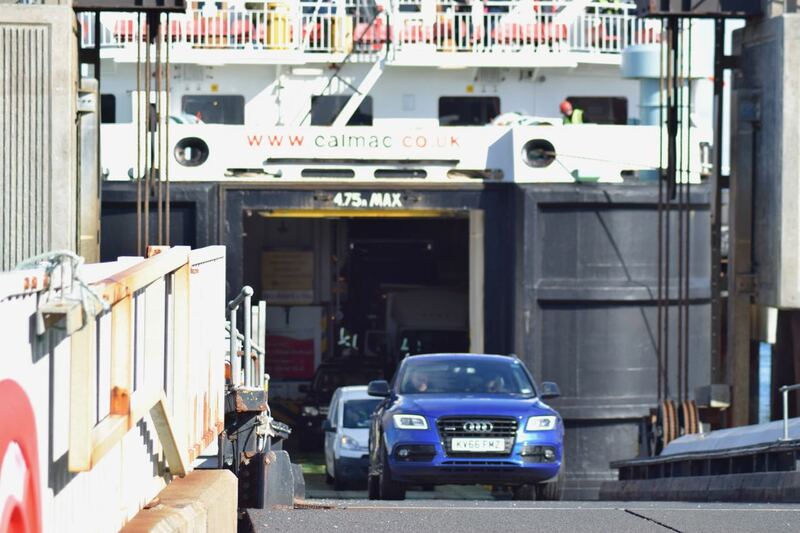 Coll traffic has to be reversed down the linkspan and onto the ferry. 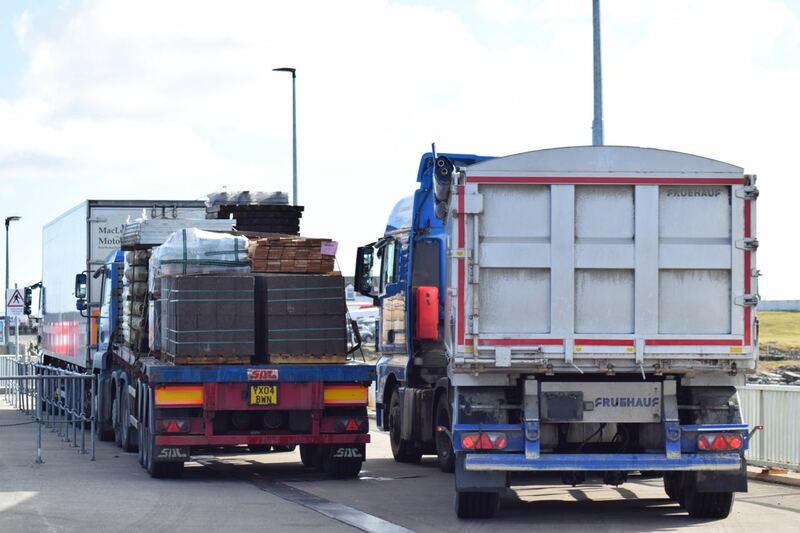 This included reversing an articulated lorry down the linkspan. Then in the confines of the car deck manoeuvring it into place. This all added to the delay in the vessel’s departure. It looked as if a shoehorn would be required to board the final vehicles. All booked traffic bar the bin-lorry for Coll was accommodated. The whole operation took over an hour. Tomorrow (Thursday) an other amended timetable will be in operation. 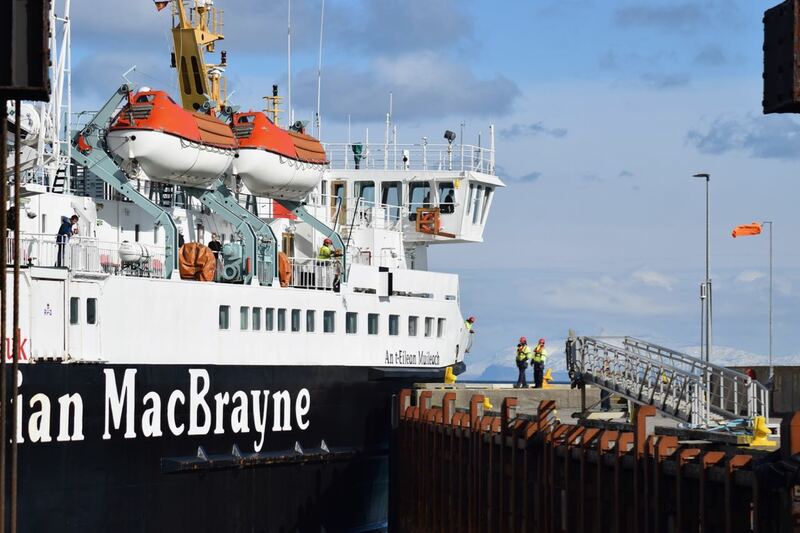 Tiree will have two sailings. The MV Isle of Mull normally sails between Oban and Craignure on the Isle of Mull. 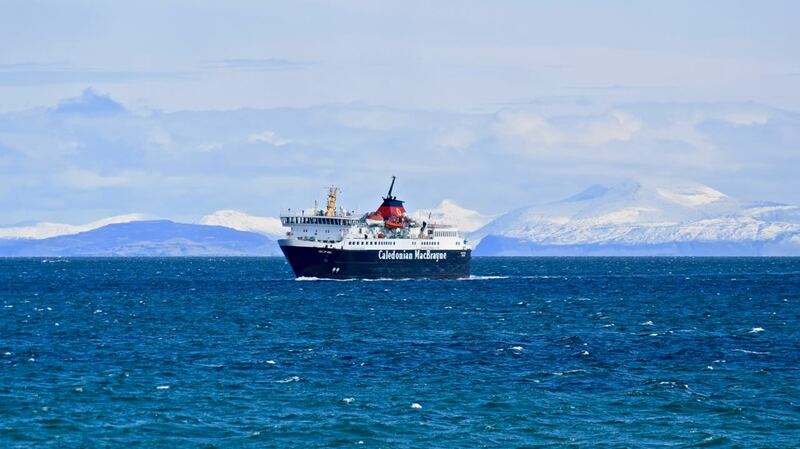 In the past she has visited Castlebay, Coll, Tiree and the Adrossan-Brodick Route. 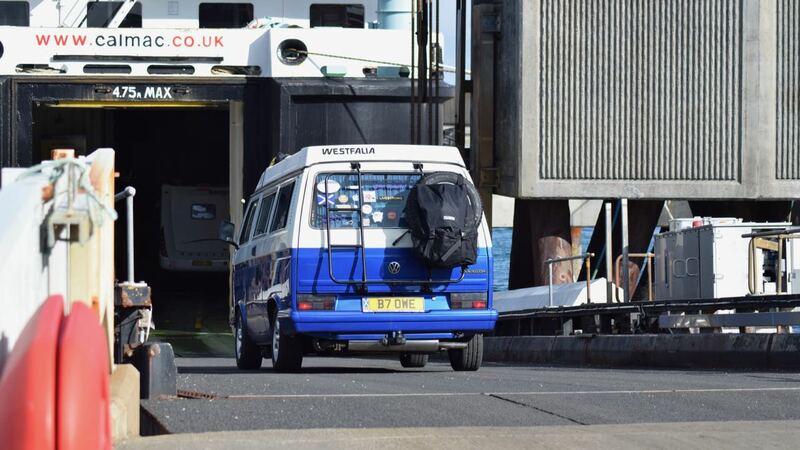 She can carry more passengers than the MV Clansman, but fewer vehicles. She can carry a maximum of 80 vehicles. She has a maximum speed of 15 knots. 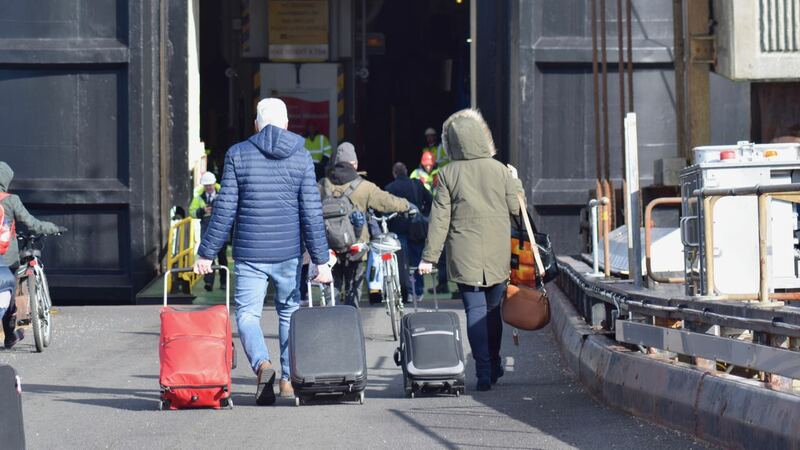 Foot passengers make their way down the linkspan – no gangway! 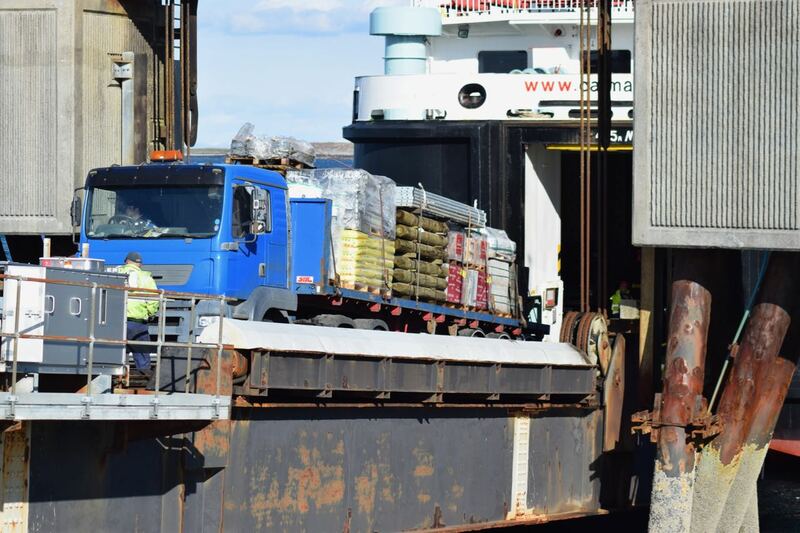 The MV Clansman can carry 90 vehicles and has a maximum speed of 16.5 knots. 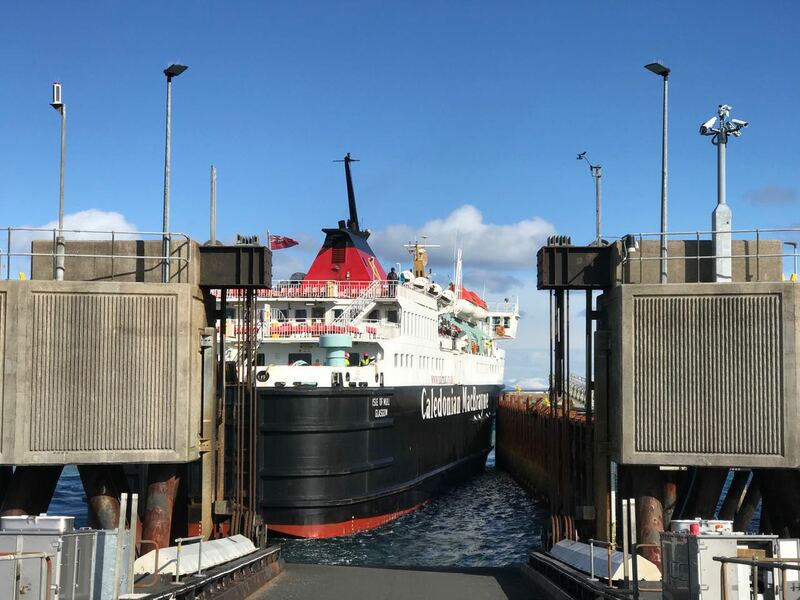 and CalMac’s fleet will again be stretched to its full capacity over the summer months. as boats need to be diverted or deployed elsewhere to keep the lifeline network running. the risk of mechanical failures and breakdown is significant. often due to the difficulty in sourcing parts across Europe. 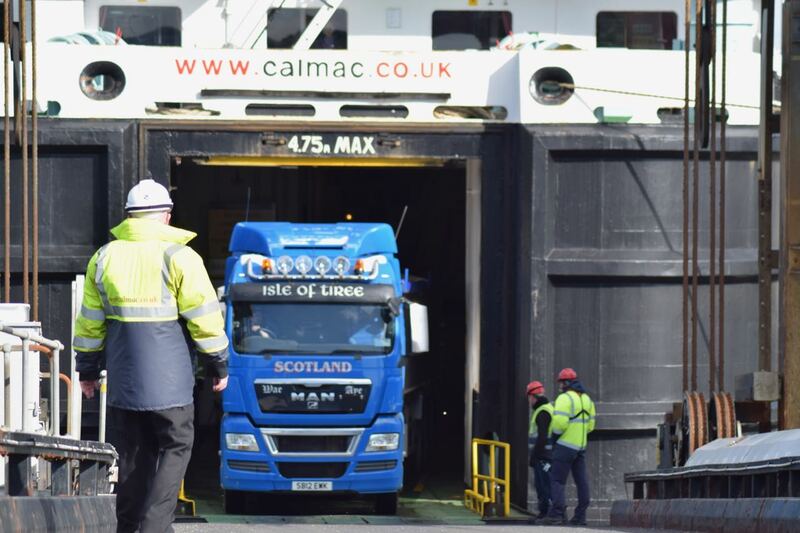 What is particularly difficult is the short notice that CalMac has given of the changes. It is appreciated in the present circumstances that vessels need to be redeployed. You appreciate that wind and weather can cause necessary delays. To give less than 24 hours notice of redeployment is unhelpful. Funeral or wedding arrangements have to be remade. Local business incurs additional expense. And business reliability is questioned. Pier staff often work under challenging circumstances. However they are frequently at the frontline when it comes to complaints. They ought to have our respect for their professionalism in the present crisis. 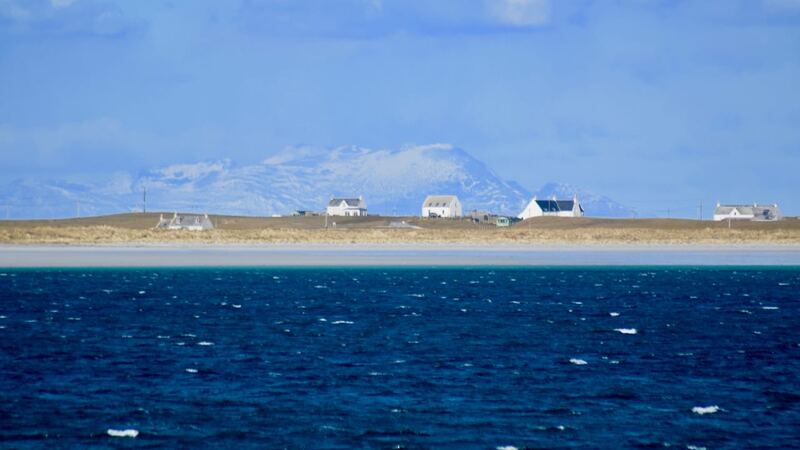 This ‘Life on Tiree’ on a day of spring sunshine. It was also a day of a chilly north wind and white horses. The MV Isle of Mull heads out to sea bound for Oban via Coll.